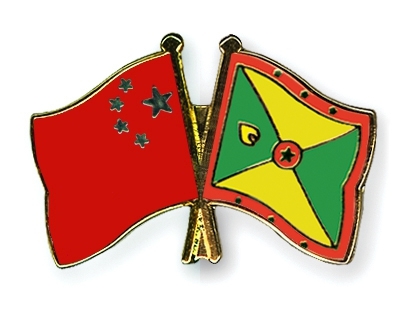 China and Grenada have renewed their commitment towards strengthening their relationship, ten years after restoring diplomatic ties. The renewal of commitment was made at a recent ceremony to celebrate the tenth anniversary of the resumption of diplomatic relations. Among those attending the ceremony were Governor-General, Her Excellency Dame Cécile La Grenade, Prime Minister Dr the Rt Hon. Keith Mitchell, Government Officials, and Officials of the Chinese Embassy. Speaking at the momentous event, Chinese Ambassador Ou Boqian said that government has made “a strategic decision to re-establish diplomatic ties with the People’s Republic of China ten years ago.” She said that Grenada should embrace the many opportunities China has to offer for major achievements to the country’s development and to promote each other. She also expressed heartfelt thanks to Prime Minister Dr Keith Mitchell for his political vision, and encouraged and praised Hon. Elvin Nimrod for his negotiating skills before signing on behalf of government ten years ago. Also speaking at the event was the newly appointed Foreign Affairs Minister Hon. Clarice Modeste Curwen, who expressed gratitude to China for its support in Agriculture, Education and Nation Development. “In the agriculture mission in La Sagesse, they are providing critical support for our farmers in new farming techniques in planting materials, advice and research,” Minister Modeste Curwen said. The Foreign Affairs Minister noted that government continues to receive scholarships from the People’s Republic of China annually.